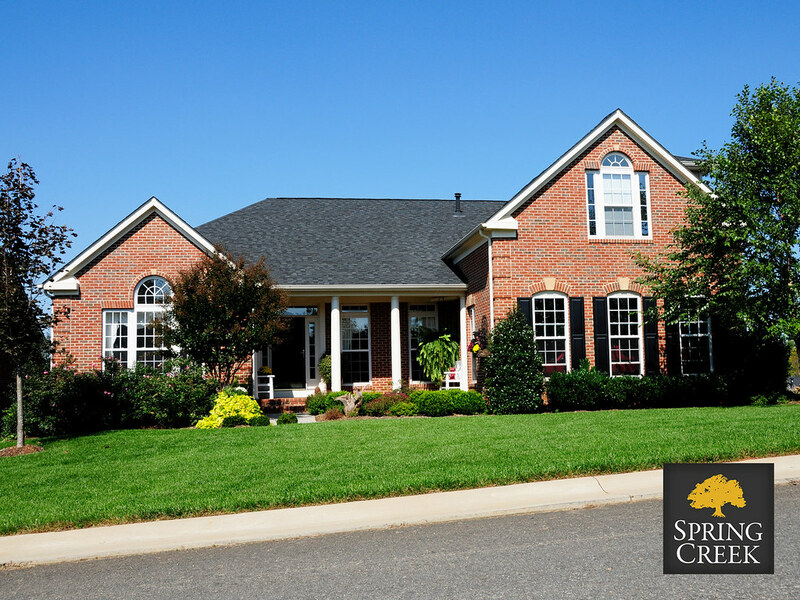 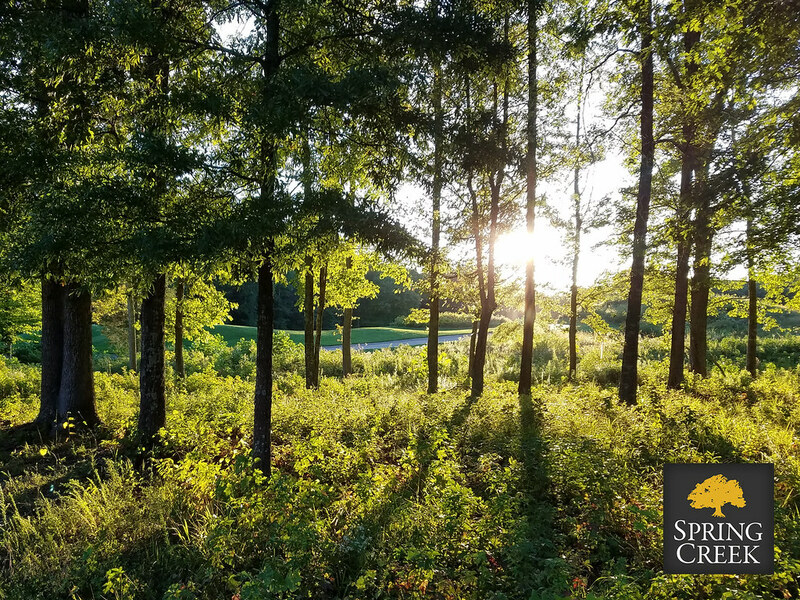 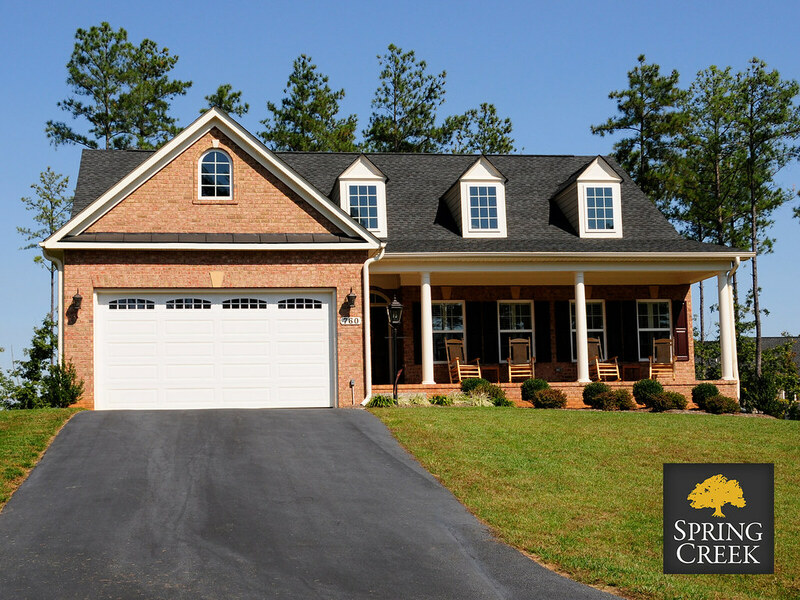 Beautiful golf & conservation lots now available in Virginia's Spring Creek community, starting from the 80s. 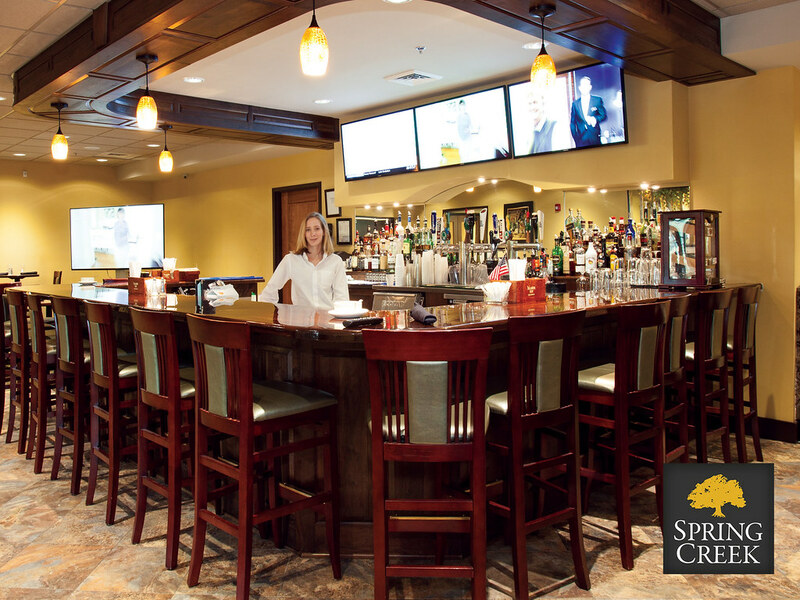 The full-service restaurant is located in the lower level of the new state-of-the-art, 17,667 sq. 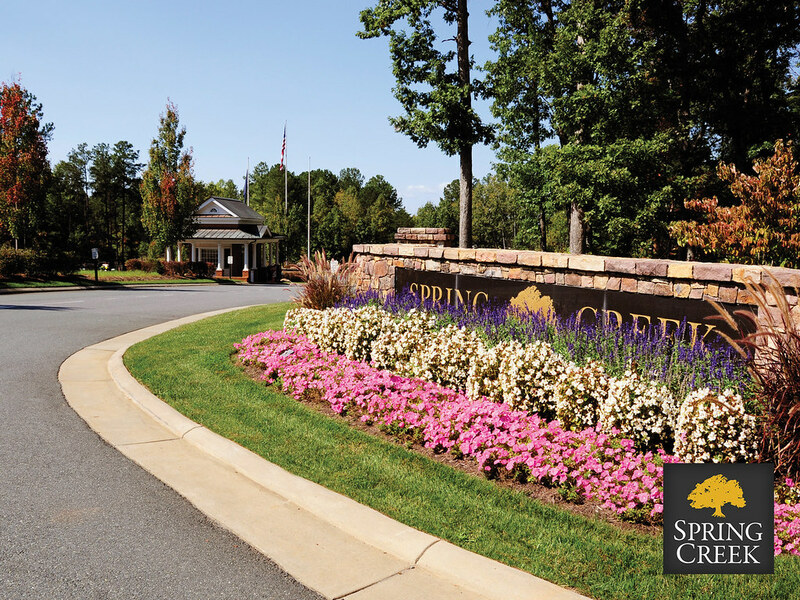 ft. Spring Creek Clubhouse. 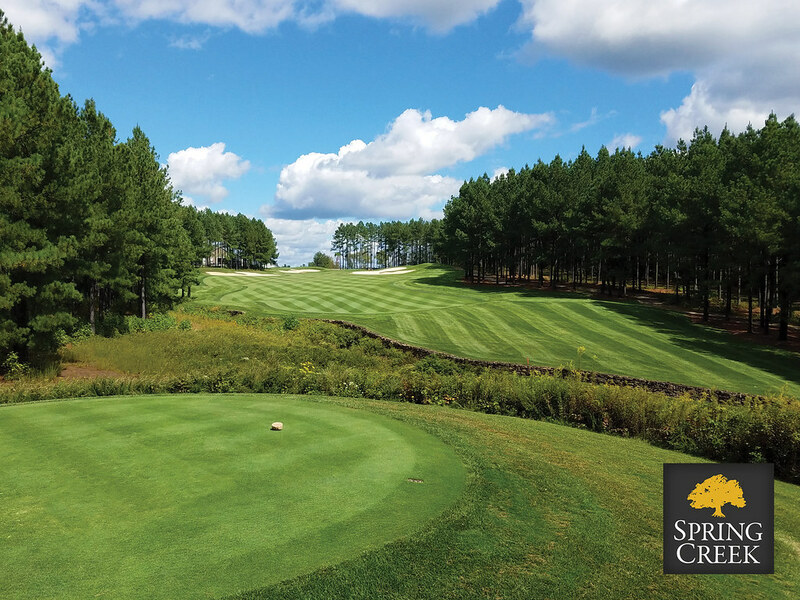 The bright, airy and inviting restaurant that seats 144 Guests includes a full-service bar with WIFI access and overlooks breathtaking views of the lake and the 18th green. 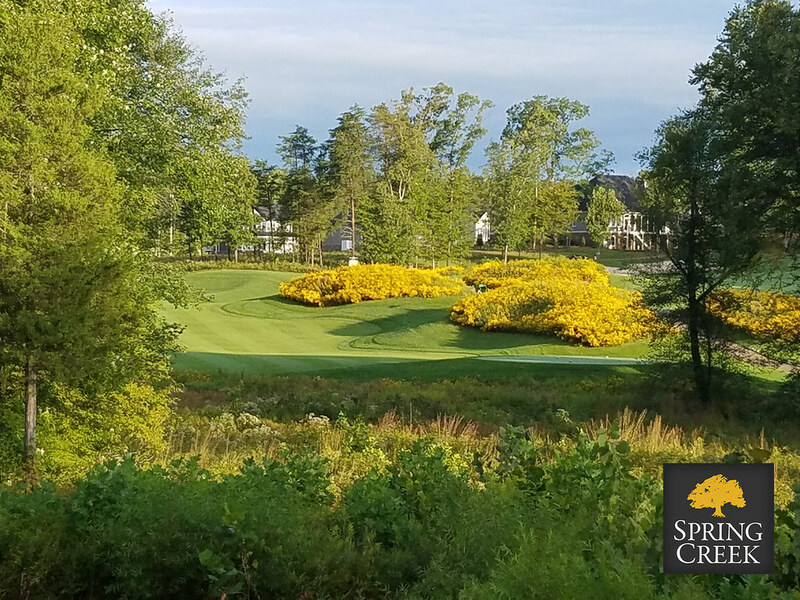 Spring Creek Golf Club is a sophisticated venue offering a variety of elegant, yet affordable possibilities for your special event. 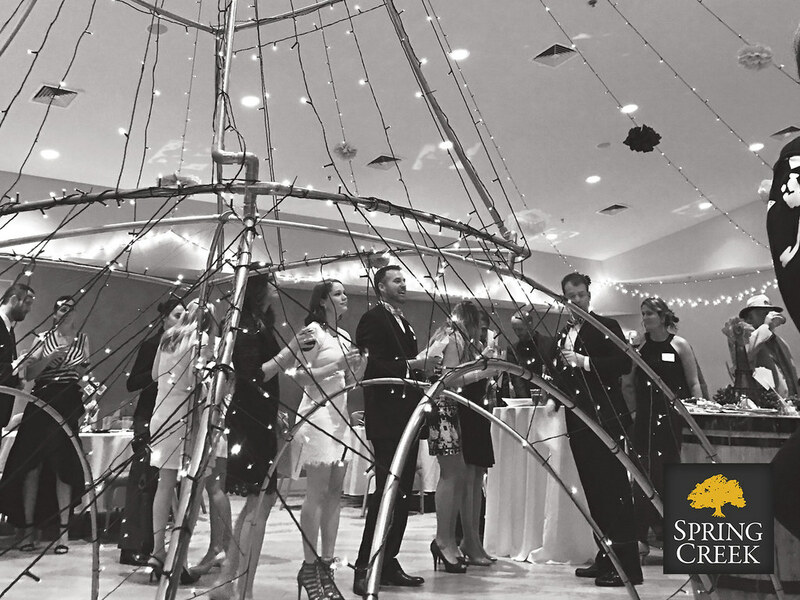 From engagement parties to rehearsal dinners, wedding ceremonies and receptions, and brunches, our Celebration Room and terrace overlooking the lake are the perfect place to welcome your friends and family; we can accommodate any size party up to 200 guests. 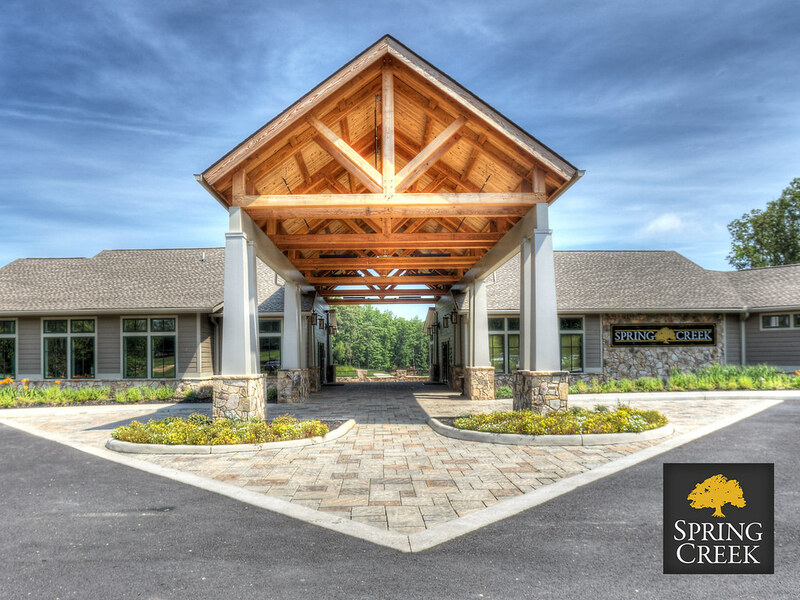 Our experienced, thoughtful and caring staff offer you full service planning and event coordination at a variety of price points. 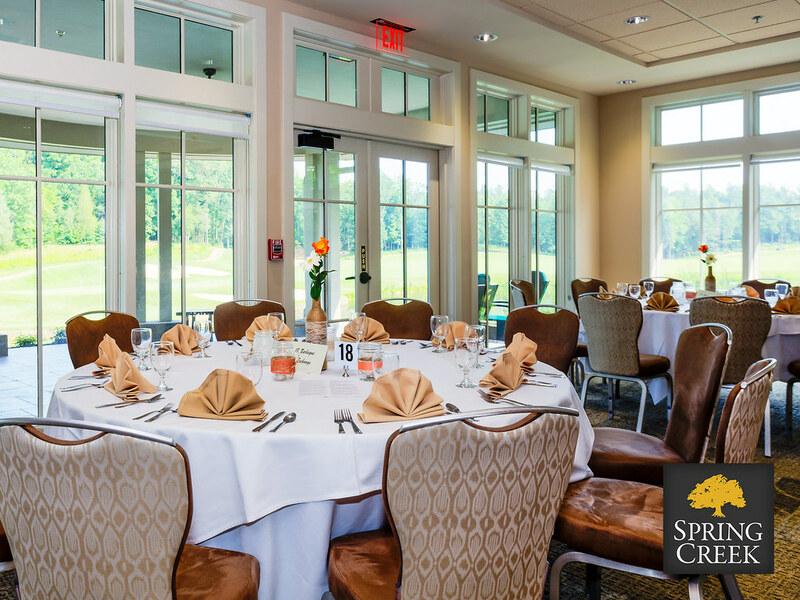 Our Executive Chef will work with you to create an exceptional menu to suit your tastes as well as your budget. 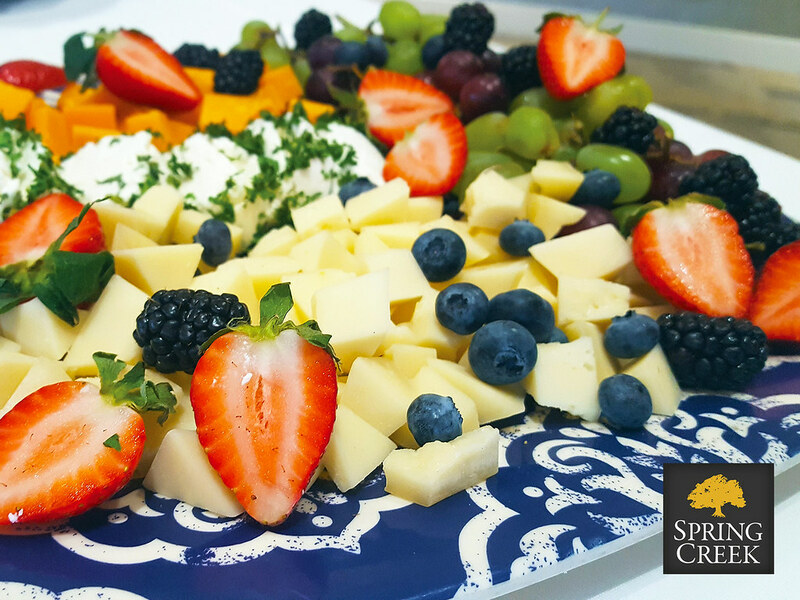 We can even create a custom wedding cake with our talented in-house pastry chef. 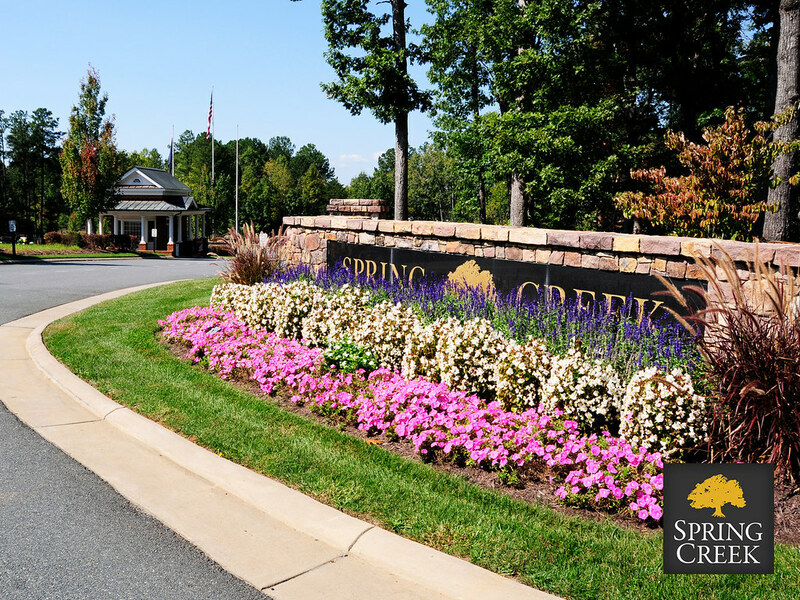 The possibilities are unlimited, and Spring Creek would be honored to help you create the most memorable events of your life. 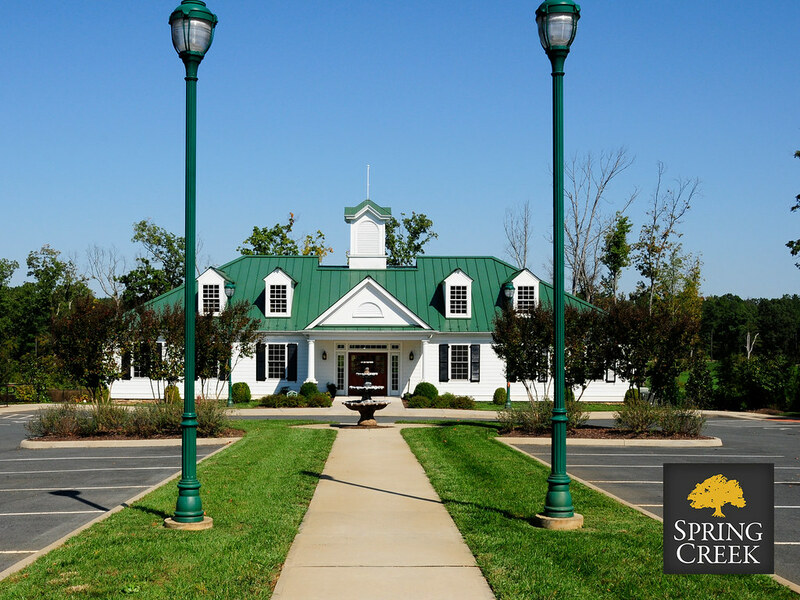 Celebrate your next special occasion with us! 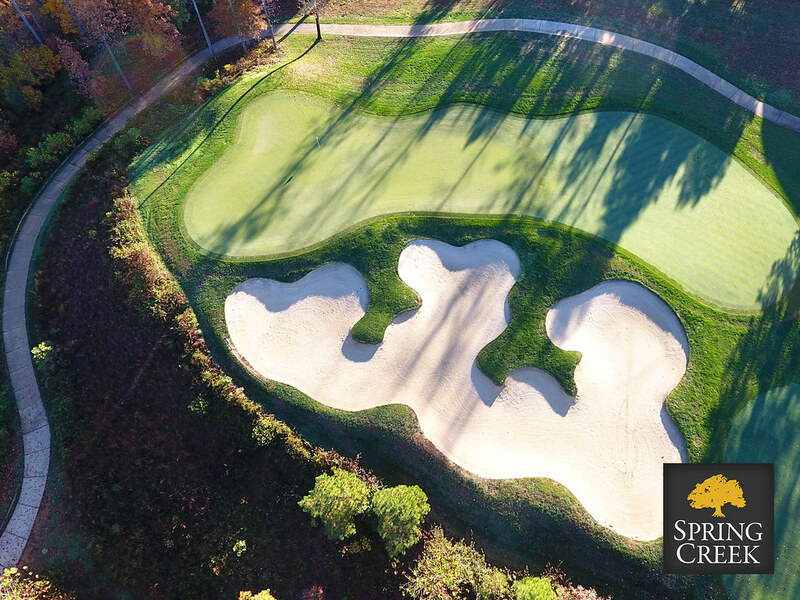 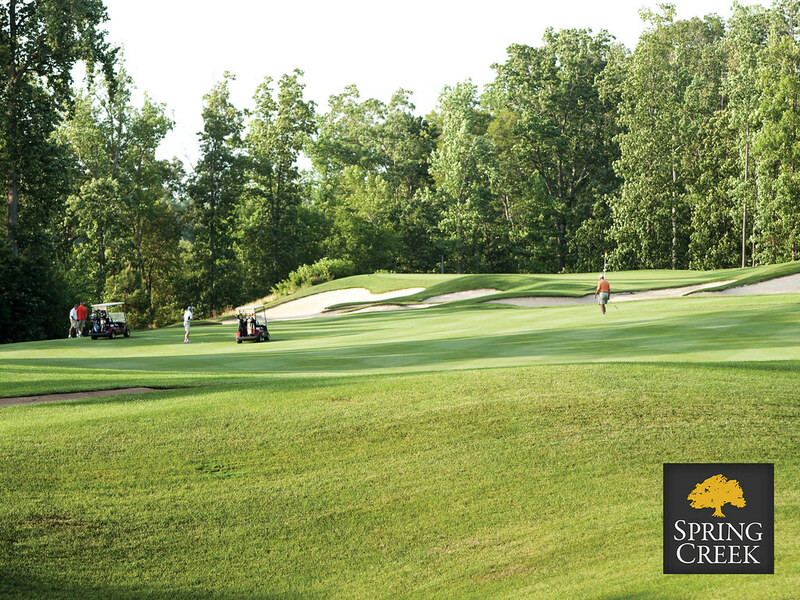 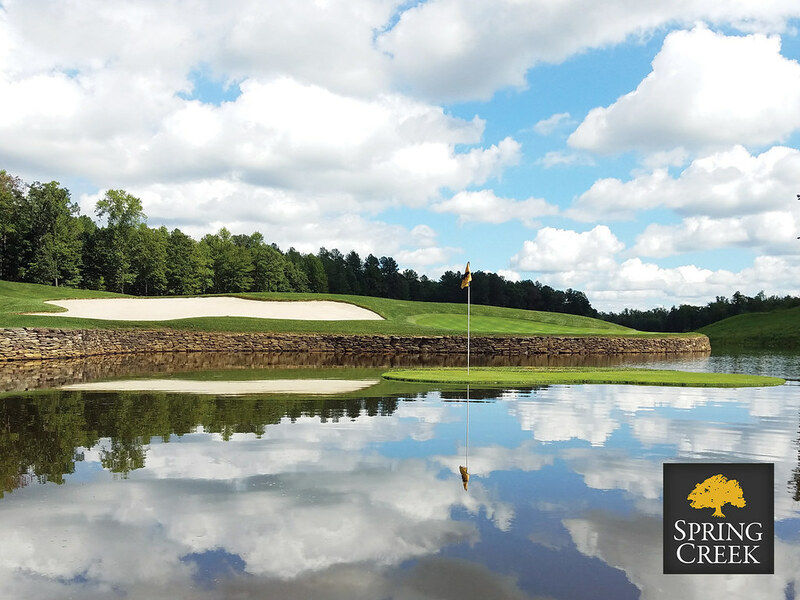 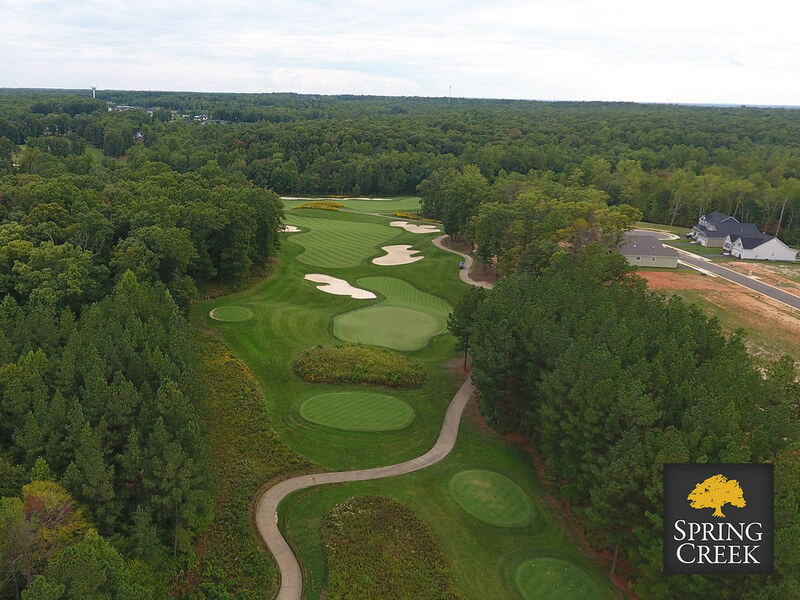 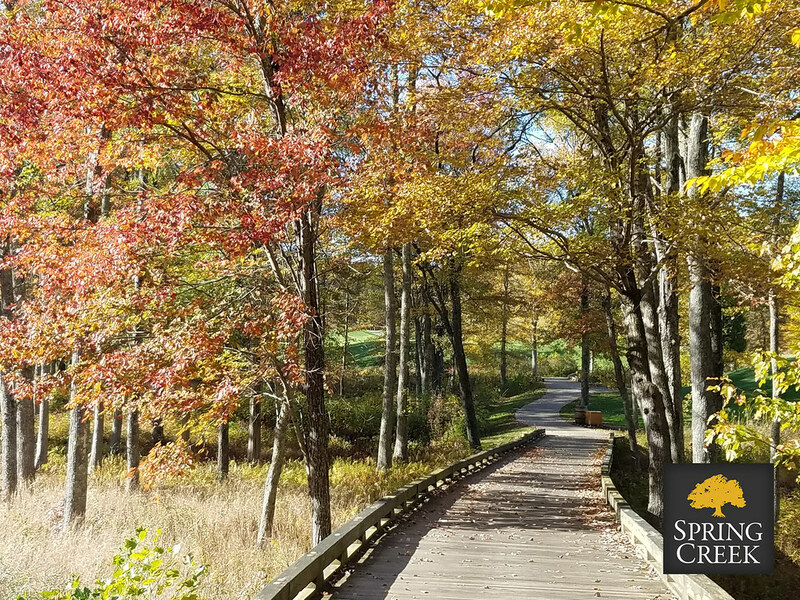 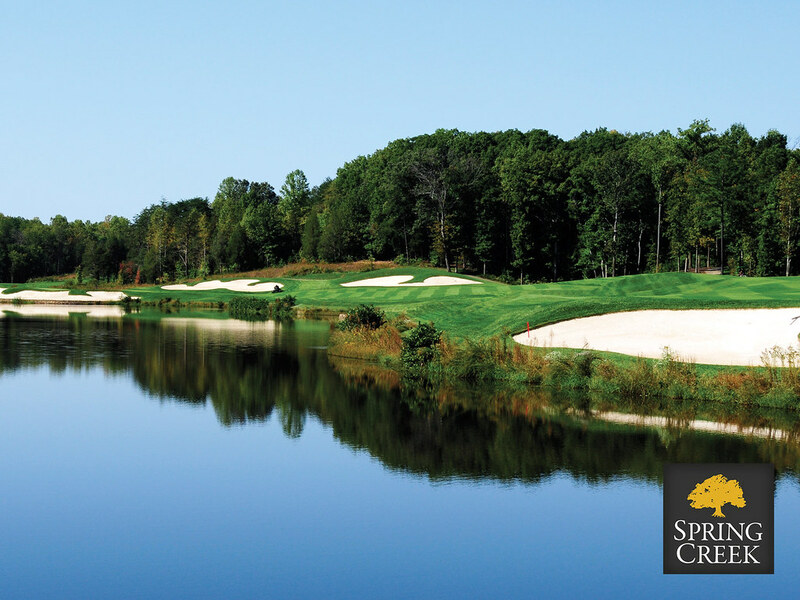 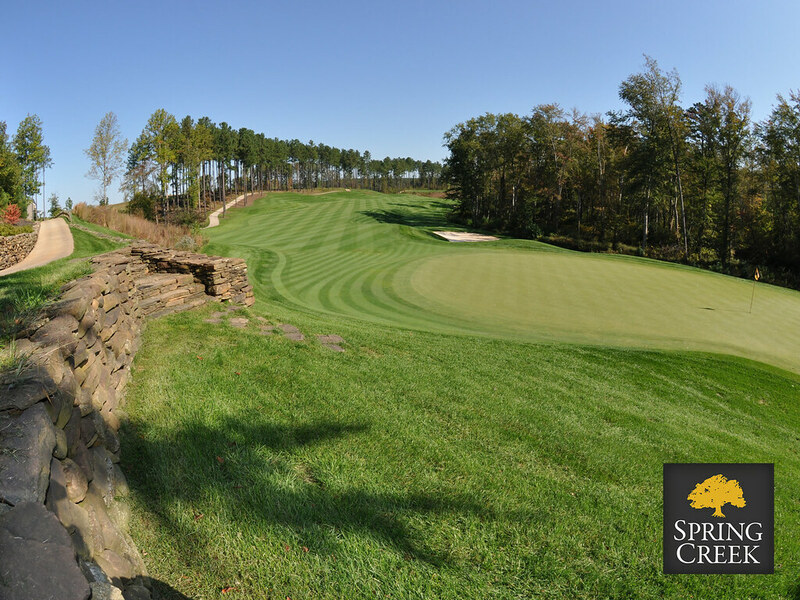 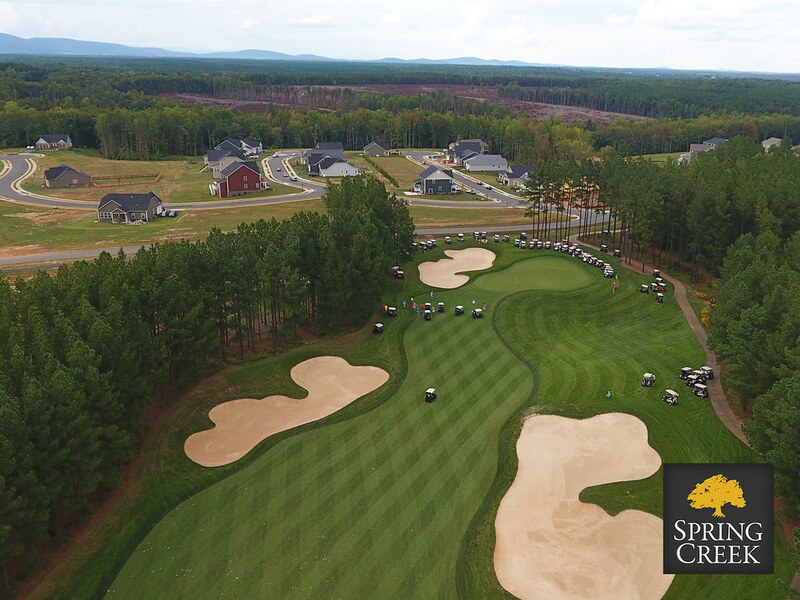 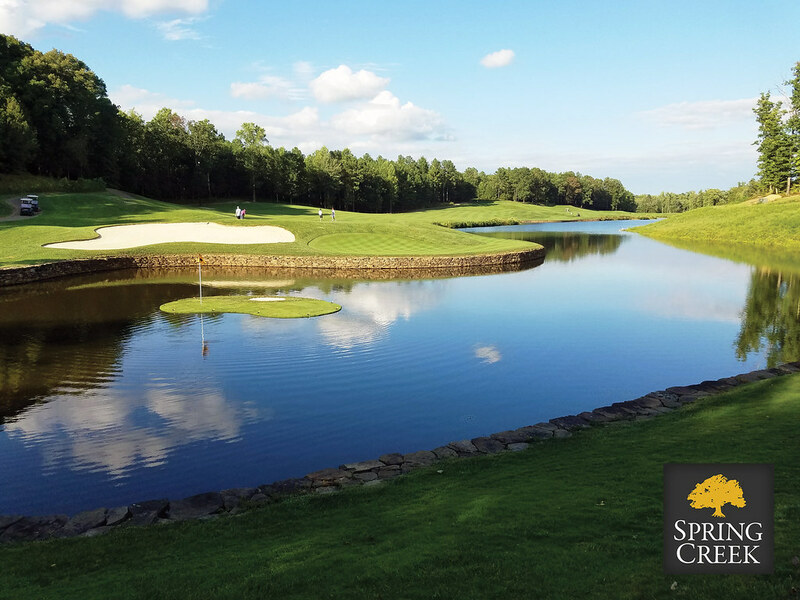 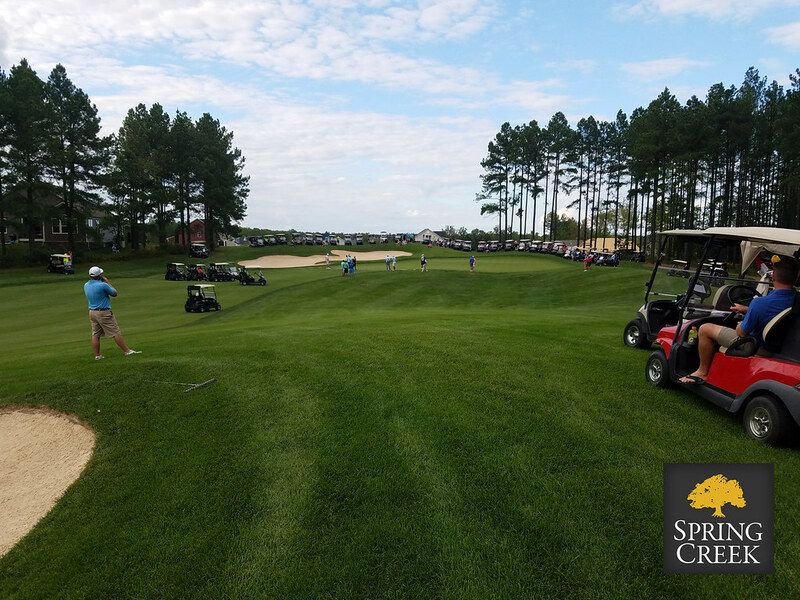 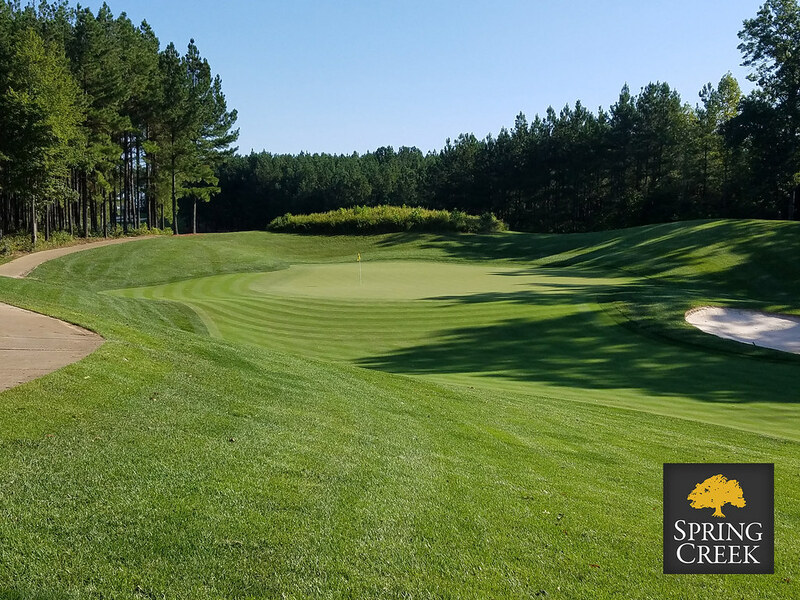 Spring Creek Golf Club is a nationally recognized golf course located only minutes from Charlottesville, Virginia and a short drive from Richmond, Virginia. 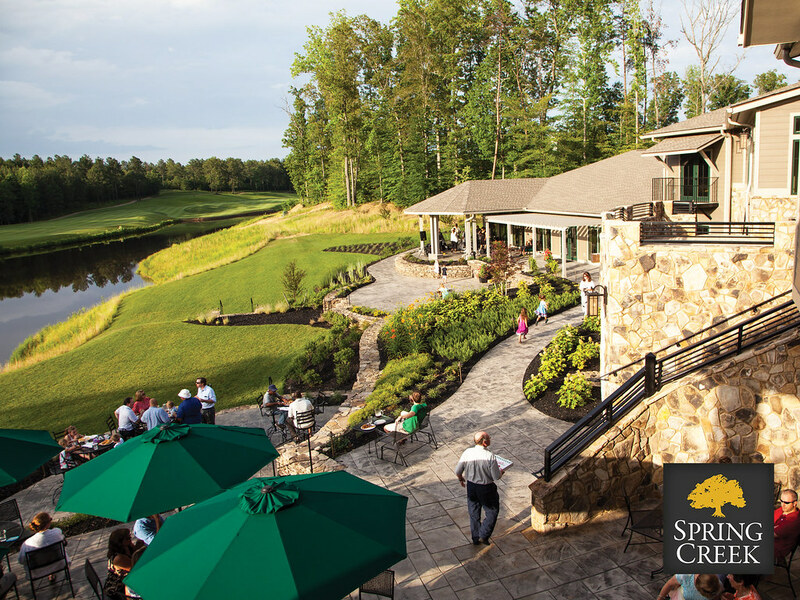 The open, airy breezeway entrance to the Clubhouse overlooks the gorgeous lake and the 18th hole.